What have I been reading, and in some cases re-reading, these delicious summer days in Chicago? Anything written by Dani Shapiro! I hope that name rings a bell. I declared her book STILL WRITING: THE PERILS AND PLEASURES OF WRITING a must-have for every writer’s shelf in my June 2 post. Part memoir, part meditation on the creative process, part advice on craft, Dani Shapiro’s words enabled, empowered and equipped me to return to my writing and keep on keepin’ on. In sharing those words weekly with my summer Newberry Library Writing Workshop students, I watched them do the same. I knew instantly from her confession early on in STILL WRITING that I wanted and needed to read Dani Shapiro’s body of work, both fiction and nonfiction. Next I read DEVOTION: A MEMOIR, the story of her ongoing three-tiered inner journey to discover what makes a life meaningful. The novel FAMILY HISTORY followed. 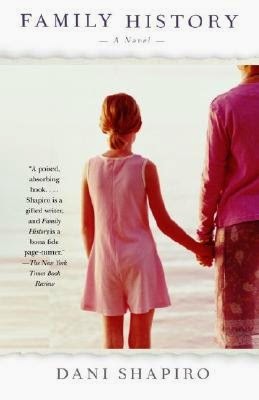 Living up to its flap copy, it was indeed a “stunning and brutally honest novel about one family’s harrowing recovery from devastation.” Rachel Jensen’s story of the family crisis brought about by her adolescent daughter’s pain grabbed me from the get-go and wouldn’t let go. 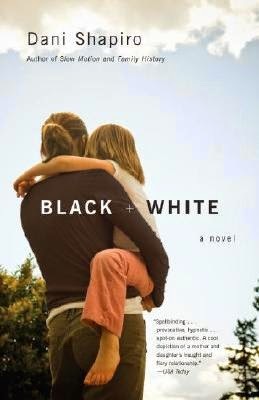 I can say the same about BLACK & WHITE’s Clara Brodeur and her story which explores the stuff and limits of the mother-daughter relationship. All of the books mentioned, whether memoir or fiction, totally absorbed me. I adore reading stories about families, about creative souls, about the human condition. I worried. I cared. Each book spoke to me - the mother, grandmother and former wife, the daughter and sister, the human being, but also, the writer and teacher. Each book was literally un-put-downable. Dani Shapiro writes elegantly, truthfully, her camera lens focused on only what’s important to the characters and their internal and external actions. Her superb craft in seamlessly weaving important back story details into the forward-moving story is to be envied, as well as studied. And study it I did, because that’s how I learned my craft long ago, when I knew zippo about how to write for children: I read the bodies of work of Charlotte Zolotow and James Marshall and MarjorieWeinman Sharmat, when I longed to write picture books, of Betsy Byars and Phyllis Reynolds Naylor and Lois Lowry, when I longed to write a novel. I read them first as a reader, second as a writer. And I spent time learning their writer’s stories too. 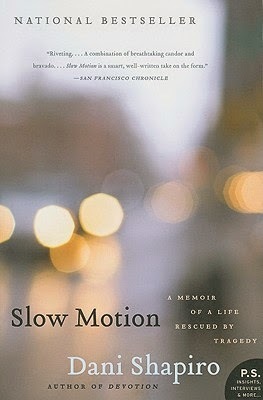 I now subscribe to Dani Shapiro’s blog - which is how I first discovered STILL WRITING, thanks to Carmela’s Facebook sharing of Bruce Black’s April 18 sharing of the blog post “On the Long Haul” on his blog Wordswimmer. Fortunately, the summer’s not over and neither is my reading. Dani Shapiro’s novels PICTURING THE WRECK, FUGITIVE BLUE and PLAYING WITH FIRE are currently on hold for me at my local Chicago Public Library branch. I clipped these words by Barbara Kingsolver from my Sunday Chicago Tribune. Happy (Summer) Reading - and - Writing! If you’re in the Los Angeles area and want to write picture books, check out my fellow TeachingAuthor April Halprin Wayland’s upcoming class – Writing Picture Books for Children. It's Wednesday nights from August 6 through September 10. Well, I see I have some reading to do. Thanks for the recommendations. I am heading over to her blog right now. Esther--it's funny, I've never set about to read one author's complete works. You've inspired me to do so!